Home > Latest News > Careers by Diversity Group > Do you want to be remembered for the right reasons? Then it’s essential to develop your personal brand! Do you want to be remembered for the right reasons? Then it’s essential to develop your personal brand! John, how did you become interested in personal branding? I studied Economics at Cambridge and also have an MBA from INSEAD so I’ve come across a wide cross section of people from different countries. I’ve also worked in several countries, in banking, management consultancy and executive search. Along the way, I learned a lot about the importance of presenting yourself well but also in an authentic manner, consistent with who you truly are. 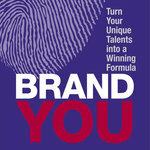 I wrote Brand You with David Royston-Lee, who is a business psychologist. We developed a model based on a building, which should be as memorable as possible. The first step is to discover the talents you love to use. They are the bedrock on which your brand is built. The second step is to discover your values. They are the foundations. A building also has a purpose. So do you. Finally, we use archetypes, based on the work of Carl Jung, to help you express what you do, and how you do it, in a way that will capture an employer’s imagination. Why is personal branding important to building a career in an international organisation? If you are a graduate wanting to join an international organisation, it is essential to understand and develop your personal brand. Jeff Bezos, the founder of Amazon, once said, “Your brand is what people say about you when you are not in the room”. In some cases they start talking about you before they have even met you. One example is when a prospective employer Googles you before deciding whether they want to meet you. A good way to start is to use someone else’s computer (which contains none of your browsing history) and Google yourself. Do you like what you see? If you have your own website, does it appear at the top of the search results? Most people don’t have one, so their web presence consists of mentions on a wide variety of websites. If so, are they consistent? For example, does your Facebook page clearly belong to the same person as your LinkedIn page? If your online brand is a bit messy and inconsistent, that’s normal. Fortunately, you can whip it into shape quite quickly. The most important thing is to discover who you are and be authentic, both online and when you meet people in real life. To learn more, visit the Global Careers Fair bookstore where you can also buy a copy of John’s book.